If there is a little person in your life that brightens your days, here’s the perfect Bright Colored Sweater. This sweater is the perfect addition to your little person's wardrobe! This Sweater is nice and warm and great for those cold days and nights. 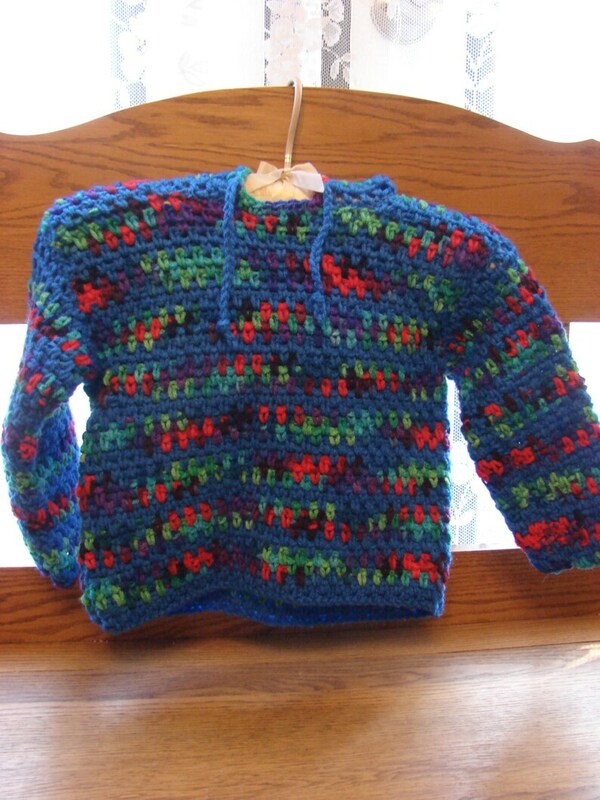 This sweater is a child's size 3 but can be made in any size. It is made out Red Heart Acrylic yarn. This can be made in a different size or color and would take approx 1 - 2 weeks to complete.